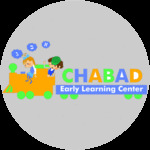 A great way to become involved in the Chabad ELC community is through activities inside and beyond the classroom. Whether you have just a few minutes or a few hours, we have something for you. and tell us how you would like to get involved.